Love makes people do crazy things. 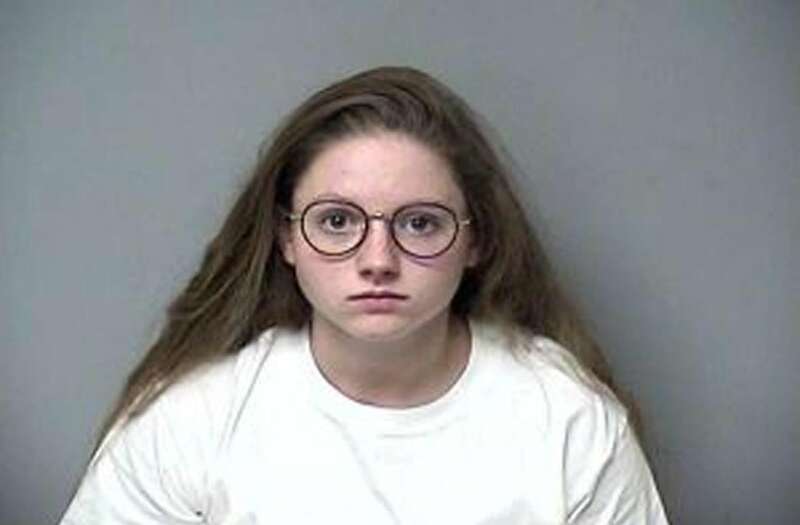 A 21-year-old Maryland woman who is accused of slitting boyfriend Alexander Stevens' throat and leaving him naked in the woods claimed he died falling from a cliff, according to The Cumberland Times-News. Megan Virginia Shaffer is charged with second-degree murder, manslaughter and assisting another to commit or attempt to commit suicide. Transcripts from a 911 call to Garret County emergency services obtained by The Associated Press reveal that Shaffer initially claimed her and Stevens, 24, had been hiking an overlook in Savage River State Forest on Jan. 3 when he fell from a cliff. She told authorities she believed he was likely dead from the 33-ft. fall. According to the transcripts, Shaffer alleged that she had walked out of the woods in the morning after spending all night lost, and called 911 from a home she stopped at. The Cumberland Times-News reported that after placing the call, she was taken to the hospital where she was treated for a broken shoulder and potentially broken back. Stevens' body wasn't recovered until the following day. The newspaper reported that he suffered a number of broken bones and his throat had been cut several times. Court records, obtained by the outlet, reveal Stevens' father noted that his son had been making serious changes in his life, but was not suicidal. "He's grown his hair longer, was reading about religions, thinking about his place in society," Jay Stevens said. "I never, never, ever, ever thought he was suicidal. I know my son. He had all these plans to do big things." Days prior to his suspicious death, Alexander reportedly opened a "transfer on death" account. He listed Shaffer as the beneficiary. His father pleaded with a judge to stop the transfer, which would have given $188,000 to Shaffer. The judge agreed, according to the paper. Shaffer is currently being held in the Garrett County Detention Center pending a court appearance.